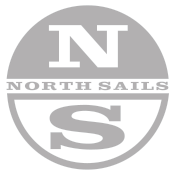 North Sails makes fast and versatile sails for the XOD class, manufactured using the most advanced technology and highest quality materials in the industry. Our XOD experts are available to help you get the most out of your North Sails product offering sound advice, tuning information and expertise. Recommended for stiffer masts The RHM-4 Mainsail is designed to compliment the stiffer masts in the fleet with a well balanced combination of broad seam shaping and luff curve to suit the stiffer masts. This sail has proven itself to be very quick throughout the wind ranges. The CM-1 is a development of the MXM-6, which is part of our championship-winning XOD sail inventory. The CM-1 has a medium luff curve that fits 90% of wooden XOD masts. Fill-oriented Nordac 6.8oz creates an efficient and user-friendly cross-cut panel layout. All-Purpose The WM-3 is our very popular and all round jib design that compliments all of the mainsails that we offer. It has proven itself over the past few seasons to be a very versatile sail, fast through the wind ranges from 0 knots up to 30 knots. It features a cross cut layout with radial head section. The FR-6 is full radial in construction and designed to offer as much projection for dead downwind sailing as possible. The full radial layout offers a very stable sail for the "round the cans" racing encountered at each division and during Cowes Week .